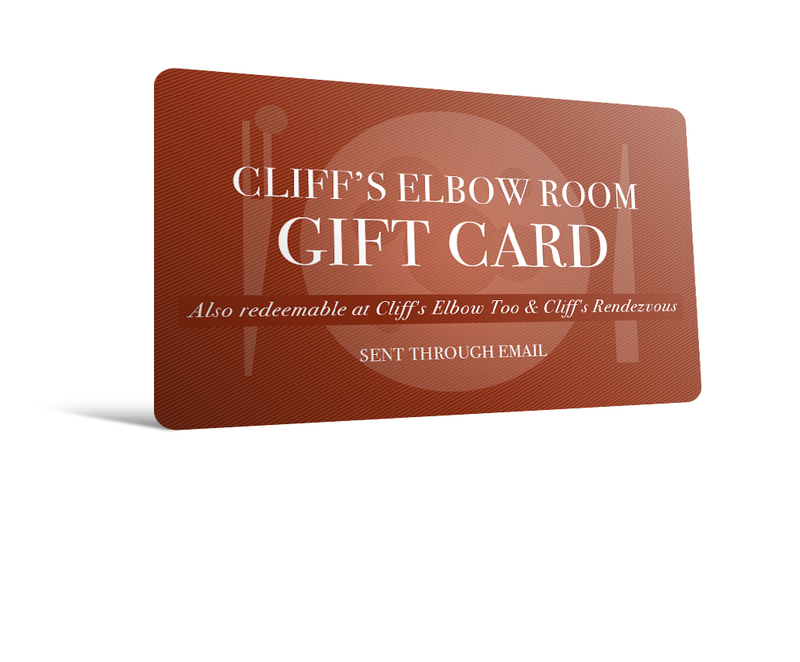 Cliff's Elbow Room | Buy Gift Cards Online! Sent through Email! Your gift card can be sent to yourself or the email of a loved one. Choose the amount you would like to gift and customize your EGift Card with a personal message! 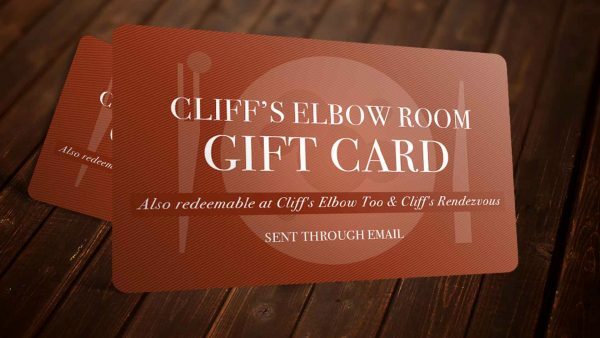 Cliff’s Cards are redeemable by showing the Gift Card you receive on your phone, or by printing and bringing your card code to the restaurant. Gift Cards are redeemable at Cliff’s Elbow Room, Cliff’s Elbow Too, and Cliff’s Rendezvous!